So you’re ready to get started? Great! In case you get stuck, these videos will provide some help around downloading and installing your software. These videos provide a very quick orientation to Workbook’s layout: your whiteboard “canvas” (or page), page sorter, the various toolbars, the menus, a few of the key tools. 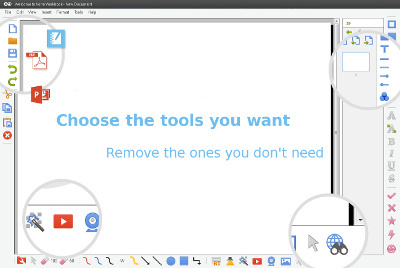 Discover how different toolbars work in Workbook and AlphaTeach. Let’s get you using the software…. These videos show how easy and quick it is for you to start whiteboarding. Related Help articles: A Blank Canvas: Page properties, dimensions etc in Workbook ● Objects on the Workbook Page: Ink, text, lines, shapes, images, videos, animations, web streams… ● Actions on objects: Moving, resizing (scaling), rotating, changing properties, flipping, stacking, grouping, linking…. 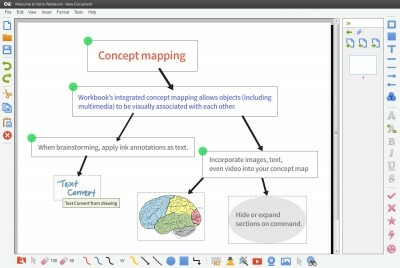 Workbook (and AlphaTeach) can open files created using SMART Notebook. This video explains more…. 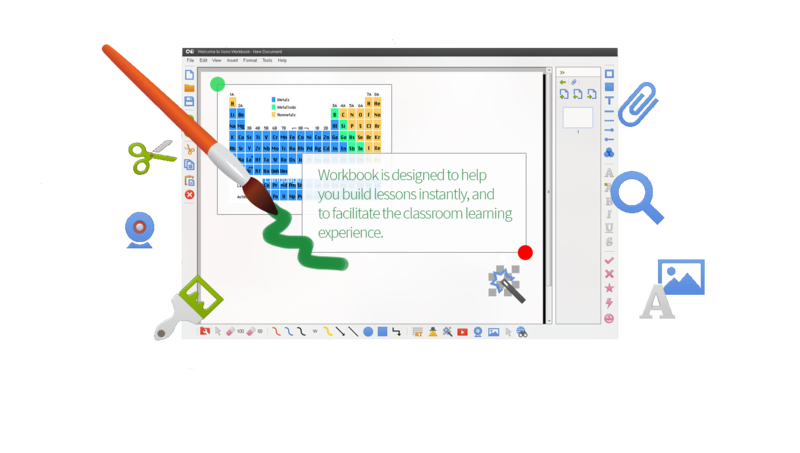 Digital whiteboarding is all about ink and annotation – and its no surprise that this is a strong point for Workbook / AlphaTeach whoteboarding software. Learn to use different pens for different jobs: different colours, line types & thicknesses, opacities…. 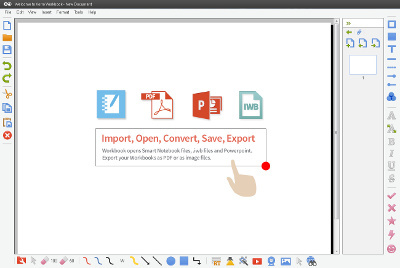 Importing all or selected pages from other Workbook files is a very useful way of capturing work done in earlier files, and bringing it into the current Workbook activity. The Grids function lets you display a grid as a background. It’s much more as well however! You can choose from square or isometric grid types, or otherwise apply lined, handwriting or music score templates to your pages. You can also (with square or isometric grids) apply the popular “snap-to” functionality, resulting in perfect alignment of objects to the grid coordinates. So you’ve mastered writing and drawing, lines and shapes…. and you’re ready to discover a few of the tools that make Workbook / AlphaTeach so very powerful…. 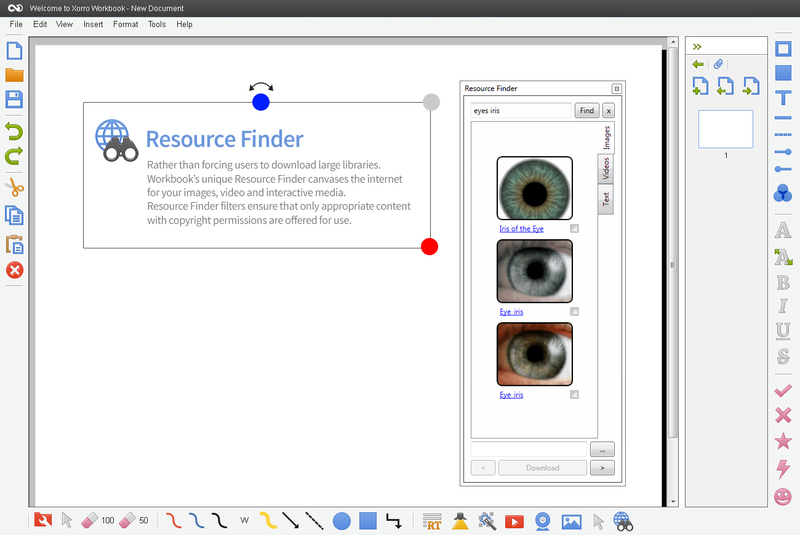 Use Resource Finder for instant, safe in-class resource discovery of copyright filtered multimedia (including YouTube) and deployment of this to your pages. Setting up well is the key to making Workbook work for you. Get your icons, buttons and controls sized correctly for your needs: it only takes an instant to do it, and pays big dividends in your enjoyment of our software. Your whiteboarding context sets you free to think, create, organise and communicate freely. This requires instant, easy access to just the tools and resources that you need. Setting up your toolbars, and sharing these around your department, wins productivity for everyone and eliminates confusing unwanted clutter from your screens. Why have it there if you don’t need it? Learn how to make life easier and more productive in the following videos…. As you will know, it’s not the software that creates a great learning or presenting experience; it’s the facilitation. These videos just scratch the surface to get you thinking on how you can make your activities more effective for their users or viewers. The sky really is the limit! 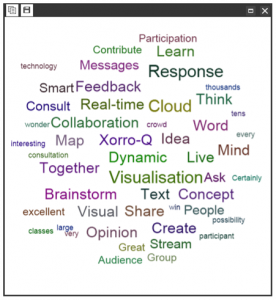 Join the Xorro community to access loads of resources on many subjects prepared by people like you. We hope that you’ll share your resources with them too! Video on how to create a calendar for use on an interactive whiteboard or display. 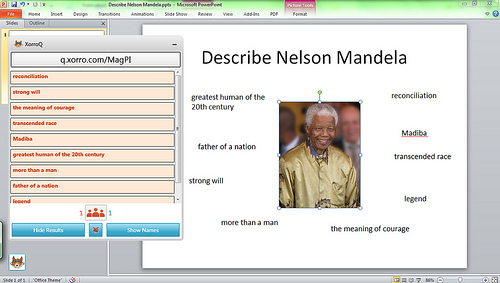 Uses Workbook / AlphaTeach.